What is the highest place in New England where you can enjoy a sit-down meal? That would be the dining room of The Lakes of the Clouds Lodge, perhaps New England’s most exclusive eatery. Before calling for the necessary reservations, a few words of warning. A table for a Saturday night usually must be booked months in advance. You are also going to want to lace on your hiking boots and leave home early. From the parking lot it’s a steep three-to-four hour hike to The Lakes of the Clouds. The 3.1-mile path, known as the Ammonoosuc Trail, climbs several thousand feet up the side of New England’s tallest mountain. On the southern slope of 6,288 foot Mt. Washington The Lakes of the Clouds sits on a ridge that is 5,050 feet above sea level. With a view of 50 miles or more on a clear day, there truly is no place east of the Rockies where you can be served a sumptuous family style meal at such an altitude. The food is both delicious and plentiful, the staff is friendly and knowledgeable and the alpine environment is totally unique. On a typical August evening, dinner began with a hearty soup called “tomato extravaganza” and freshly baked “honey oatmeal bread.” Servers ladled heaping individual portions from a huge steaming kettle, and seconds were no problem. If you wish to stay the night, which most do, breakfast is equally sumptuous. On the same weekend, Sunday morning’s fare included hot oatmeal, an inviting “spinach and cheese egg frittata,” crispy beacon, freshly baked coffee cake and of course juice, coffee, tea and/or hot cocoa. 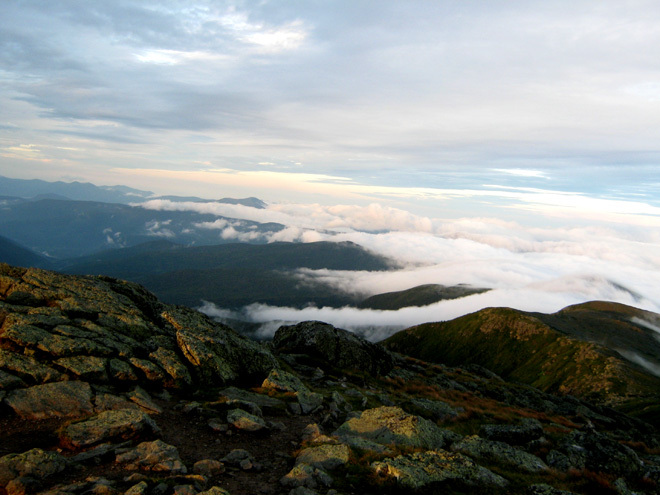 Operated by the Appalachian Mountain Club, The Lakes of the Clouds Lodge is part of a system of “huts” located along the Appalachian Trail’s most challenging segment, the Presidential Range of New Hampshire. 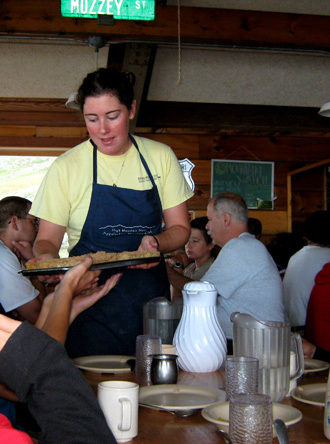 The term “hut” is somewhat misleading as the meals and the unique personalities of those who make up the staff at these lodges illustrate. The huts are primarily bunkhouses serving both weekend hikers and dedicated backpackers traversing the northern stretch of the 2,175-mile long Appalachian Trail. Visitors enjoy two filling meals, clean washrooms and a soft bunk. (For rates and reservations visit the AMC website. 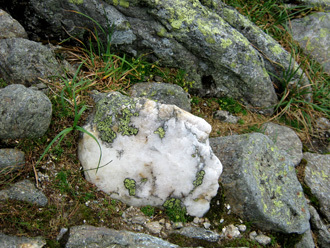 Nature talks and guided tours of the unique Alpine topography are included. 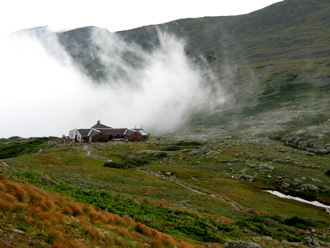 The huts also serve as a potential haven for hikers if the weather turns bad, which can happen very quickly in the high peaks of the Presidential Range. One should not venture into the mountains unprepared. In fact, as AMC naturalist Jenna Whitson explained, “Mt. Washington experiences some of the worst weather in the world.” Like a giant thumb pointed heavenward from the fist of the Presidential Range, 6,288 foot Mt. Washington is buffeted by major weather systems pushing in from the South, West and North. While summertime winds average only about 25 miles per hour at the peak and temperatures are generally in the 50’s, even in July or August it can drop below freezing in the alpine zone. Winds gusts often exceed 50 miles per hour and snow or sleet is not uncommon. But summer is the mild season. On April 10, 1934, the Mt. Washington Observatory recorded a wind gust of 231 miles per hour - the fastest surface wind ever recorded anywhere on the earth. Temperatures in the winter can easily fall to 20 below zero and average daily winds exceed 45 miles per hour. The title “Worst weather in the world” is well earned. According to Whitson, the mountain is also subject to its own local or microclimate. As warm moist air is forced upward along the southern slope, it condenses just as it passes the hut, shrouding the peak, and the lodge itself, in clouds much of the year. Staff members, like Ms. Whitson, are mostly university and graduate students with an interest in adventure and high places, a strong back and a stronger work ethic. A stint at Lakes of the Clouds is not your typical “summer job.” Staff members hike to the summit daily, returning with 70 pounds of fresh food on their backs. Hut-master David Kaplan; a thin, rangy, graduate student is typical of his staff. In between serving meals, checking in guests and in general overseeing operations at the hut, he answers questions from an endless fund of knowledge about the hut, the mountains and the unique environment found at Lakes of the Clouds. 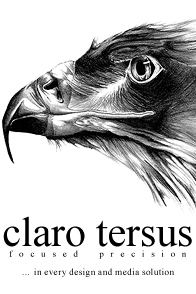 On his rare trips back to civilization he hosts a blog. His photos and commentary on the huts and the mountains can be found at DKappy.com. Blogging is not practical at the hut itself. The only electricity comes from wind and solar generators on the roof. They supply several electric lights, which burn for just a few hours each evening. Once a year, propane tanks are airlifted in for use in meal preparation, but other than the cooking stove, no lit flames are permitted. The hut is equipped with a sophisticated septic system and a running supply of fresh, pure mountain water. The two nearby ponds, for which Lakes of the Clouds is named, are among the highest standing bodies of water in New England. While most visitors take the hour-long hike up the final 1,600 feet to the summit of Mt. Washington, The Lakes of the Clouds is in a totally different world from the enclosed tourist center, museum, cafeteria and gift shop located at the end of the eight-mile Mt. Washington Auto Road and Cog Railway. The Lakes of the Clouds sits on an unspoiled ridge with a climate similar to that found in Northern Canada. As naturalist Whitson explained, at the base of the mountain you find in a typical New England hardwood forest of oaks, maples, birch and beech trees. But, as you climb higher, these trees give way to a damp boreal pine forest. Near the 5,000-foot mark, the trees grow smaller and are replaced again, this time by tiny shrubs. These unique plants cling to life in crevices or sheltered behind granite boulders. In fifty years some of these mountain dwelling plants grow to be all of three or four inches tall. On-going scientific studies at the hut measure the acidity of clouds as well as the impact of climate change on the fragile mountain ecosystem. One tiny plant and a rare local butterfly are found no-where else in the world. If the meals at The Lakes of the Cloud are worth the strenuous climb and the fauna and flora are unique, the high points of any visit come at sunrise and sunset. As evening approaches and a haze settles in the valleys, the horizon turns from pink to deep orange and red. If you are not too sore from the previous day’s climb, and can rouse yourself early enough, the fifteen-minute hike to the summit of nearby Mt. Monroe is rewarded with the most breathtaking sunrise imaginable. As the sun’s rays break from behind Mt. Washington you can watch as deep purple shadows literally run across valleys that stretch to the horizon. Golden light reflects off flecks of mica on granite boulders and wisps of cottony fog hang in the deep valleys below. Aside from the awesome beauty, a most striking feature of sunrise is the absolute silence of morning on the mountain. Stepping out of the ever-present wind you hear not a hint of civilization or a sound beyond your own breathing. Even at mid-day, other than the ever-present wind, the only sounds you might hear are the occasional cry of a hawk or the whistle of Mt. Washington’s famous Cog Railway. Since 1869 the train, now an eco-friendly bio-diesel, has carried tourists to the summit of Mt. Washington. While several of the other AMC huts are open earlier and later, The Lakes of the Clouds Lodge operates only from June to September. Once the maples in the valleys below begin to turn crimson and scarlet, the weather on the ridge is just too unpredictable and New England’s most exclusive dining facility closes for the long winter.